Need to borrow money because you’ve been injured? 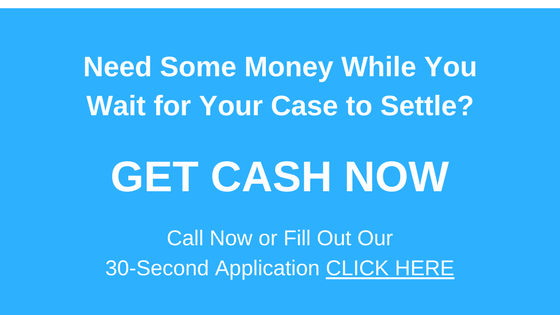 Want to access the cash in advance of your lawsuit settlement? A pre-settlement cash advance is available if you’re in Jacksonville (or anywhere else in Florida) and it only takes 30 seconds or a simple phone call to apply. A lawsuit loan can provided needed cash after a personal injury or accident due to negligence. This means you get the money you need to get by while you wait for your case to settle. Personal injury suits can be a long, drawn-out process that could leave you struggling to pay bills while you wait for litigation. If you live in Jacksonville and the surrounding suburbs and are a victim of animal attacks, auto accidents, discrimination or harassment, or negligence, you might be eligible for a lawsuit loan that can help you make ends meet while you wait for your case to be resolved. Dealing with such a lengthy lawsuit after being injured in an accident or on the job can be incredibly frustrating, especially if you are out of work due to your injuries, or facing a lot of medical bills. Personal injury, negligence, and workers’ compensation lawsuits often take months to resolve. Luckily, a presettlement cash advance can provide the money you need to get by while you wait for a settlement. These cash advances have been a lifesaver for many people who are struggling to make ends meet while going through litigation. They provide you with the cash you need to pay bills and stay afloat while you wait for the results of your lawsuit. At Interstate Lawsuit Funding, we especially understand the importance of having the money you need to survive during a lengthy lawsuit. We offer many advantages to plaintiffs: when you get approved for one of our lawsuit loans, it’s your money, to do with whatever you wish. Additionally, you only have to worry about paying back the loan if you win or settle your case. If you don’t win, or the case fails to settle, the money is yours to keep. If you win, the loan will be paid back from the proceeds of your case, along with a reasonable rate of interest, so you don’t have to worry about paying it out of pocket. If you have bad or no credit, Interstate Lawsuit Funding can still help you. When you contact Interstate Lawsuit Funding, we won’t perform a credit check, and you won’t have to put up any collateral to get the presettlement funding you need. We’ll review the merits of your case, speak with your attorney, and decide if you are eligible for a loan. If you are, you could receive the money in as little as 24 hours. If you live in Jacksonville or surrounding areas of Duval County, all you need to do is fill out the simple, 30-second application on our website, or give us a call at 954-946-0487. Our staff understands Florida law and can quickly and accurately assess workers’ comp, negligence, personal injury, discrimination, and other types of lawsuits.